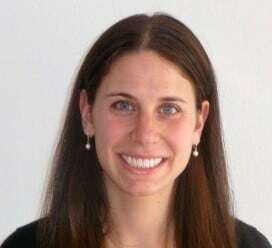 Laura Goldman is a project manager in the New York City office of Dalberg Global Development Advisors. Laura has advised foundations, NGOs, and Fortune 500 companies on projects focused on new program design, growth and transformation strategies, monitoring and evaluation, and organizational design. In particular, Laura has worked on several projects focused on private sector development and small and medium enterprises (SMEs) in developing countries. This has included launching the Aspen Network of Development Entrepreneurs (ANDE), a network of leading players that provide capital and capacity building services to ‘small and growing businesses’ in developing countries; supporting a large funder of women’s entrepreneurship programs to develop a comprehensive approach to increasing access to capital for women-owned SMEs; developing a public-private partnership to increase investments in agricultural enterprises in Africa; and conducting a detailed analysis of a multilateral organization’s investments in businesses that engage low-income individuals in developing countries. Prior to joining Dalberg, Laura worked with the Boston Consulting Group where she advised clients across a wide range of sectors on strategic and operational issues. In addition, while in business school, Laura worked as a Summer Associate for Fanisi Venture Capital Fund in Nairobi, Kenya. Laura holds a Masters in Business Administration from Columbia Business School (Dean’s Honors and Distinction) and a Bachelor in Business Administration from the Ross School of Business at the University of Michigan. An estimated 90 percent of smallholder farmers lack strong relationships with buyers, limiting their access to finance, inputs, training and other support. And it’s difficult for financial providers to reach them. That’s why direct-to-farmer finance is so important, says Dalberg’s Laura Goldman. She discusses a new briefing on the approach from the Initiative for Smallholder Finance. The global demand for food is increasing, but the smallholder farmers who could help meet that demand lack the funds to invest in productivity and connect to markets. And many of the businesses that aggregate smallholders lack access to credit. Social lenders are one solution, says Laura Goldman, in discussing the Initiative for Smallholder Finance’s new guide to investing in or funding the sector.